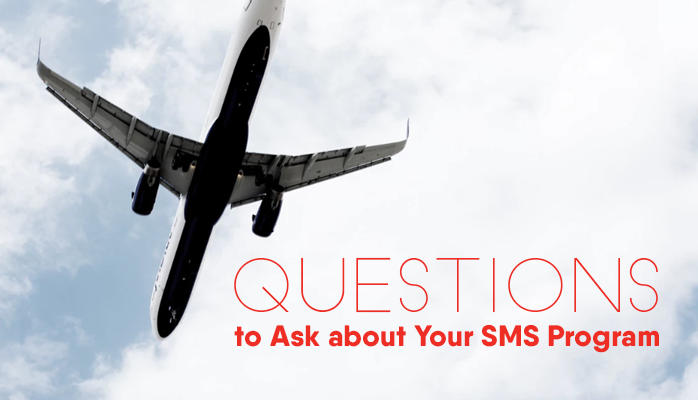 The unfortunate fact is that many managers in aviation safety management systems (SMS) don’t start asking serious questions until their SMS is either “stuck” or in trouble. Questions and answers need to come at the beginning of SMS implementation. Your answers to fundamental questions about safety management will be a guideline through the entire process of your SMS' implementation. I can’t help but observe that aviation oversight agencies are constantly reinforcing the idea that there is one right answer to every situation. But consider: there are thousands of organizations who adopt safety programs, and each of them has unique safety needs. Each organization should therefore also have unique answers to questions about SMS. An SMS must support the organization's safety goals and objectives; otherwise, you will end up with a paper SMS that may pass a few SMS audits, but will provide no long-lasting risk mitigation value. Understand your SMS more intimately. Can you answer these 5 questions about your safety management system? 1 – What 5 Behaviors Does Your Safety Management System Value Most? Management can more easily develop the kind of mature safety culture that is most relevant to program risks. Safety behavior basically comes down to developing safety culture. Creating a safety behavior manifesto, and distributing it to employees, will force you to answer which behavior your SMS values most. 2 – What Risk Attitude Characterizes Your Risk Management Operations? Risk attitude is a concept that is only just beginning to be discussed. But it’s extremely important. Understand why all employees behave the way they do. There are four primary risk attitudes in aviation SMS that range from adaptable (behavior focused) to predictive (data focused). While ideally safety programs would have a balance of all 4 attitudes, the practical fact is that all organizations will lean more towards one than the others. 3 – How Will You Improve Risk Awareness in Your SMS? I’m surprised at how often this question is met with tightly closed mouths and averted eyes. It is one of the most basic questions, and yet most of the time it either receives no answer or a very generic answer. Answers to this question should be specific, and include some steps in a large plan. We will hold monthly training meetings to serve as an honest and open forum about safety issues. The main takeaway here is that answers should be specific and include a plan. 4 – What’s the Difference between Hazards, Risks, and Consequences? Has little idea how risks, hazards, and consequences relate in the flow of a safety event. If you don’t know the difference, I highly suggest familiarizing yourself thoroughly regarding the difference between hazards, risks, and consequences. 5 – What Will You Do to Maintain a Non-Punitive SMS? This is definitely a question that is usually met with blank faces. Any kind of subtle behavior from management that hints at “blaming” or "shaming." Your aviation SMS should have very clear processes to ward against punitive behaviors from management or employees. prepare safety managers for the inevitable. Most of these questions revolve around safety culture and the effectiveness of your risk management processes. If you are a new safety manager, or your SMS implementation is still maturing, you should prepare yourself. 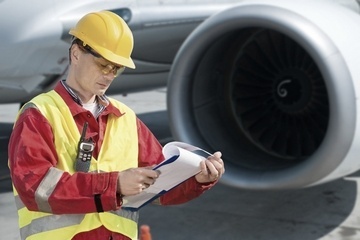 These questions are responses to common scenarios that we see across the aviation industry. There are regions around the world where SMS is not seen as a benefit, but as an extra regulatory hurdle that operators must leap. Resistance to SMS implementations is more pronounced at the top of the org chart than in line level operations. What is your role in the SMS? Who benefits from the SMS? Have you participated in SMS training within the past year or 18 months? For SMS implementations with substandard performance, the inspector will be met largely with blank stares. How does an outsider point out observations of toxic safety cultures without upsetting those operators who are earnestly implementing an SMS? Without a doubt, some operators need some "tough love" to get them on board with implementing an SMS that aligns with ICAO's intentions. Too often, we witness inconsistencies with regulatory audit findings and the results from standards bodies, such as IATA and IS-BAO. These inconsistencies must be dealt with as an industry in order to maintain faith in the process and to ensure that ALL operators are expected to conform to the same standards.